The following countries will receive ‘temporary’ waivers excusing them from US sanctions on Iranian oil exports. Action is a critical part of the re-imposition of the remaining U.S. nuclear-related sanctions that were lifted or waived” as part of the 2015 nuclear accord, Treasury Dept says in emailed statement. Sanctions include designation of 50 Iranian banks; identification of more than 400 targets, including over 200 persons and vessels in Iran’s shipping and energy sectors, and an Iranian airline and more than 65 of its aircraft. To help put this into context, here’s a breakdown of Iranian crude shipments. 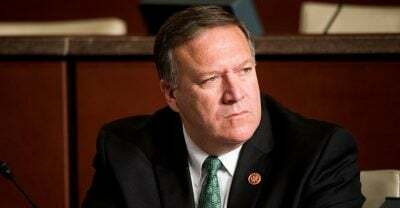 In what some have characterized as a capitulation by the Trump Administration, Secretary of State Mike Pompeo is expected to announce the 8 countries that have received ‘waivers’ from US sanctions on Iranian oil exports during a Monday morning press conference. Treasury Secretary Steve Mnuchin is also expected to speak.